The Swiss NanoConvention 2017 took place at the Forum Fribourg from June 1-2. 2017, in collaboration with the CTI-Micro/Nano event and the NRP 64 Final Event. Thank you to all speakers, participants, exhibitors and sponsors for your participation at SNC 2017. You all contributed to a very successful and enjoyable conference ! See you next year at ETH Zürich ! The Swiss NanoConvention brings together Swiss and international leaders from science and industry in the field of «nano», key figures in innovation and technology, entrepreneurs, investors, administrators and politicians. The Swiss NanoConvention is a platform for connecting people, networking, debating and exchanging ideas – or even generating new ones. Key players are able to gather the best available information on the potential, but also on the risks of one of the key emerging technologies of the 21st century, and its opportunities for innovative technologies, products and services. Please join us at this year’s event at the Forum Fribourg from June 1-2, 2017. 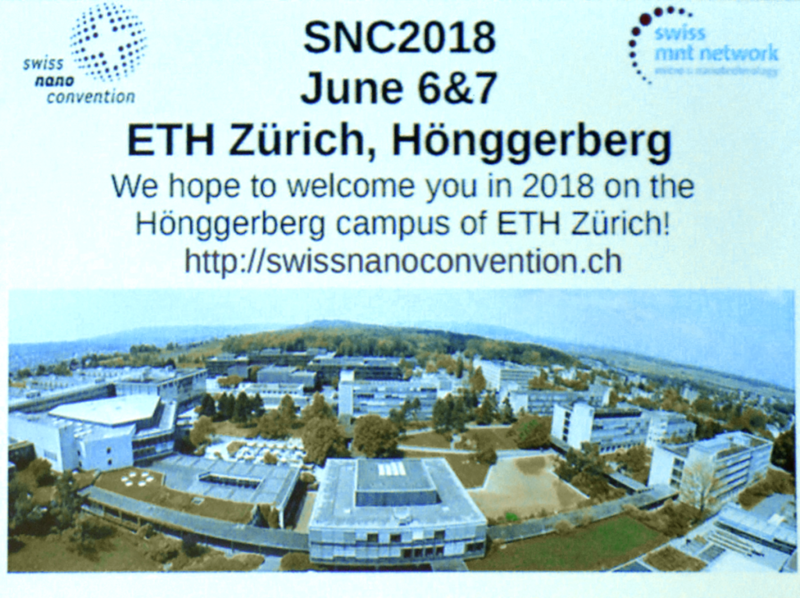 In short: The Swiss NanoConvention is the prime showcase for nanotechnology in Switzerland, jointly organized by the «who-is-who» in the Swiss nano scene. It is the venue for meeting the great minds in nanoscience and -technology. 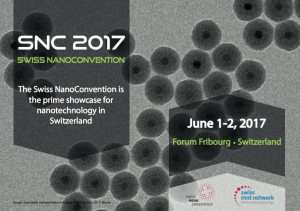 The Swiss Nanoconvention 2017 will be organized together with the CTI-Micro/Nano event, which focusses on short to medium-term applied science, as well as the NRP64 Final Event. Key topics of the conference include Nano for ICT, the life sciences, optics, energy and materials for a sustainable development. The two-day program will feature plenary talks, topical sessions, discussion platforms and ample opportunities for in-depth and informal networking. A poster session is also planned. A sponsoring and exhibition package is available here.